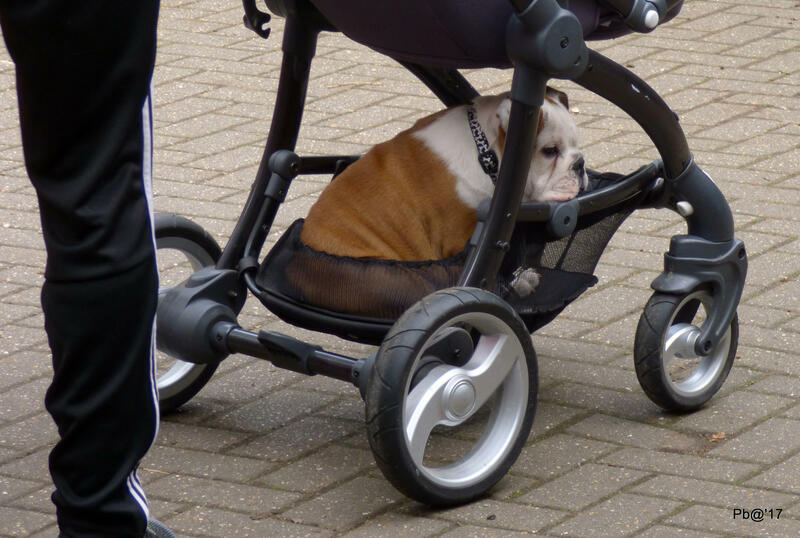 And yet another way to take your dog for a walk! Taking your pet out for a walk is good for both of you. You get a little exercise, your best friend enjoys a change of scenery, and you share a good time with your furry companion. Part of being a responsible pet owner is doing things together! What does it take to be a good pet owner? It’s not a trick question but the answer may not be as easy as you think. There are some obvious things a good pet owner does. For example, a good pet owner makes sure their furry friend stays healthy by taking it to the veterinarian for regular checkups and vaccinations. They feed it a high quality pet food, and give it a comfortable, safe place to live and sleep. In general, they take good care of their animal. A good pet owner is also a responsible pet owner, making sure their four-footed companion is a good citizen and not a nuisance to neighbors and others. They keep it in a fenced yard or on a leash when it’s outside, and clean up after it when they go on walks. A good pet owner knows that pets need attention. After all, contact with humans is what socializes any animal and makes it a pet. Walking or playing with your pet or even grooming it creates interaction that strengthens the bond between the two of you. Leaving it outdoors or closed up alone for extended periods of time may cause behavioral problems, like digging or barking. In fact, behavior problems are the number one reason pets are surrendered to animal shelters, so training your best friend is another good way to be a responsible pet owner. A well-behaved animal that responds to its owner and obeys commands usually is happier and more pleasant to be around. Proper training (especially when the animal is young) can improve the relationship between people and pets. Probably the most important thing a responsible pet owner can do is to have their pet spayed or neutered to prevent unwanted litters which add to the tragic problem of pet overpopulation. February is Responsible Pet Owners Month, the perfect time to call your vet and make an appointment. Spaying or neutering will also make your pet healthier by protecting it from diseases like certain cancers. That will help to ensure that you can enjoy the companionship of your best friend for a long time, when you’re speaking of pets.